Cashmere overcoats for men are an interesting piece of outfit. It is important to select the right place to buy the authentic cashmere overcoats as there are many suppliers who provide stuffs with low quality. At MensUSA you will be able to find the authentic collection and this will be the best place get a wide collection of styles and sizes. You will not have to worry about getting a particular style of mens suit at any size as we also specialize in large and tall suits for men. 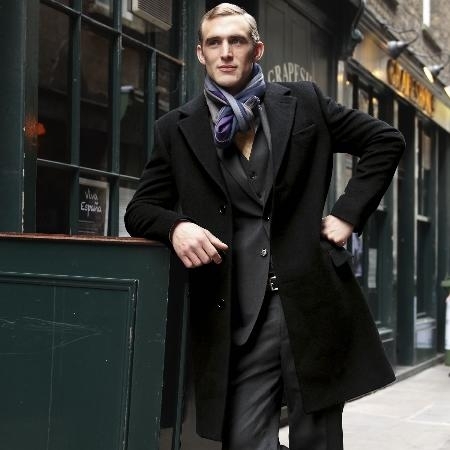 Cashmere overcoats are great to wear during cold weather and come in many smart styles. Are you planning to get a Wool overcoat for yourself, here is what we have got for you at MensUSA. Men who need their overcoats to be warm and stand the test of time during harsh weathers will always go for wool overcoat at all times. Have you ever tried to use a normal overcoat during a cold weather just because it looked good when you bought them? You need not do that anymore as each and every wool overcoat that you will see here will look great and at that same time serve the purpose of protecting your body from exterior temperature. A Wool cashmere overcoat is an excellent insulating garment that is made out of the strong wool collected from the cashmere goats. Cashmere overcoats that are worn by men are of great use during winter season as they are perfect to keep them warm and good during biting cold weather and harsh icy wind. These cashmere wool overcoat varieties are especially liked for its strength that is complimented by the soft texture and light weight. When you get a mens overcoat that is light but has great insulation capacity, it will be one of the first choices that you will make for your wardrobe collection. The prominent natural shades of these wool overcoats are shades of grey, white and brown.